Why Xiaomi did not present its foldable smartphone at MWC? Samsung has introduced its Galaxy Fold foldable smartphone a week ago and Huawei introduced the foldable Mate X last Sunday. 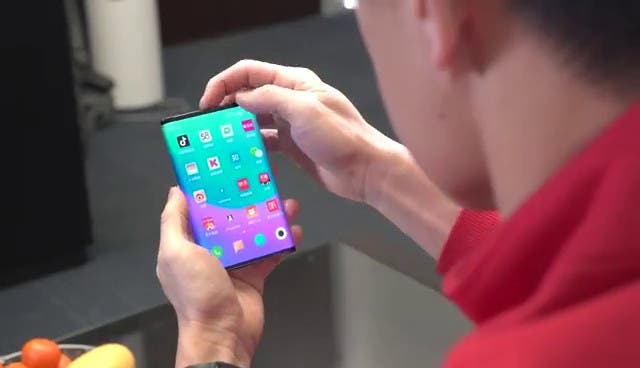 That same day Xiaomi presented its first 5G phone : the Mi Mix 3 5G, which certainly was not folding and the Xiaomi Mi 9 which has impressive specifications, but does not have any creases either. When the president of Xiaomi pronounced the phrase “one more thing” in the purest style of Steve Jobs at the end of his presentation, many of the attendence held their breath for a few seconds, but Xiaomi announced the Mi Led Smart Bulb. The president and co-founder of Xiaomi Lin Bin has recently posted a video of himself using a foldable device, and this was the reason why all eyes were on this event. “In terms of a specific launch period, I think we should wait until it’s more mature before announcing it. But rest assured that we are testing a variety of different collapsible concepts” says Donovan Sung, Xiaomi spokesperson and product manager. Huawei and Samsung have shown their folding smartphones behind protective glasses. It seems that this technology is still in development as neither Samsung nor Huawei have openly shown their new devices in MWC. With launch dates planned for just a few months, keeping foldable smartphones in glass boxes does not instill much confidence that they will be ready in time. “I think it’s part of our overall philosophy of really wanting to be at the forefront of technology,” said Sung. That video of Xiaomi’s president Lin Bin using a foldable smartphone is to show that we are testing a new form factors. And we have also made decent progress in this, so we feel comfortable sharing this conceptual video”. A decent progress does not mean you are ready to go to market and therefore do not yet know when Xiaomi bring a foldable phone. But at least now we know why it was not presented: it is not ready for the public yet.